Home > Blog > Uncategorized > Should You Be Using Jojoba Oil? Should You Be Using Jojoba Oil? There are countless languages, dialects, traditions and belief systems throughout the world. So there is no doubt that in every corner of the globe there are beauty practices and must-have ingredients that the locals swear by. Jojoba oil is one of those beauty essentials. It has been used by Native Americans for generations and is gaining popularity as a key ingredient for beauty products. If you are not already familiar with the all the benefits of jojoba oil, you’re in luck. We’ll introduce you to this wonder oil — which by the way isn’t actually an oil at all — its origins, and everyday uses. We will also breakdown why jojoba is so crucial in maintaining healthy hair. Researchers have found jojoba oil resembles human sebum more closely than any other naturally occurring oil. Sebum is a thick waxy substance that is secreted by the sebaceous glands and is responsible for keeping your tresses and scalp moisturized naturally. This substance lubricates and waterproofs the fur, hair and skin of mammals. The similarities in the molecular structure of jojoba and sebum means that it’s highly unlikely that a person would have any adverse reaction to using jojoba oil on skin or hair. One of the greatest benefits of the two oils being so similar is that the body registers the jojoba oil as sufficient enough moisture so it will slow down on the production of sebum — resulting in hair that is not heavily coated in oil. Many of you may be wary of applying oil to you hair and scalp because you want to avoid excessive oil buildup or clogged follicles. However, jojoba oil has both anti bacterial and anti fungal properties, which make it very beneficial as a cleansing agent. 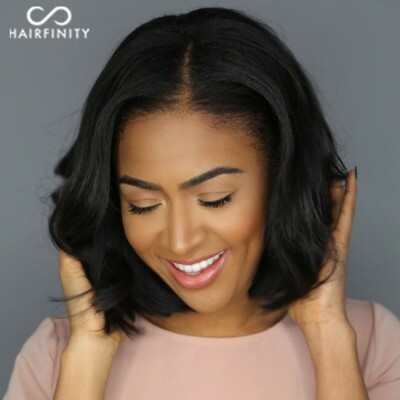 So in addition to providing optimal moisture to your hair you are maintaining a healthy scalp which is the foundation for strong healthy hair to grow. If you are looking for maximum growth and length retention you should try jojoba oil. It is naturally rich in vitamins A and B1 which are both essential to healthy hair growth. There are a variety of ways to use jojoba oil to improve the health of your hair, and the most essential ingredient to growth is health. When using natural oils to maintain and strengthen your hair you might find that there is a bit of trial and error involved, not all oils will pair with the structure and needs of your hair. 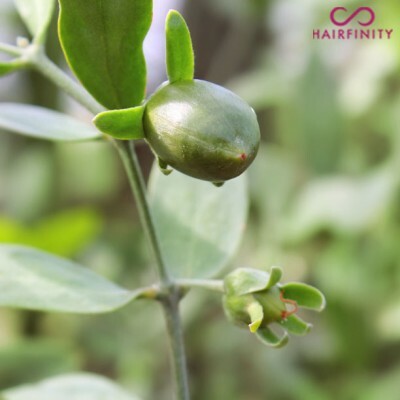 The beauty of jojoba as compared to other oils is that your hair and skin are familiar with sebum like consistency and manage the absorption and distribution of the oil very well. Moisturizer – your hair will be thoroughly moisturized and left with a healthy shine. Since it so closely resembles your own sebum your body slows down the production of oil, and as a result prevents excessively oily hair. Scalp cleansing – you may have never considered using jojoba oil to cleanse your scalp but the antibacterial and antifungal properties of jojoba make it a great scalp cleanser. You can add it to your favorite shampoo or massage into your scalp. As a cleanser the jojoba oil will remove excess sebum that has become dried on your scalp and also prevent bacteria and fungus from forming. Scalp stimulation – massaging jojoba into your scalp will not only feel amazing, because who doesn’t love a massage, but the increased blood circulation brought on by the massage will go along way to stimulate growth. 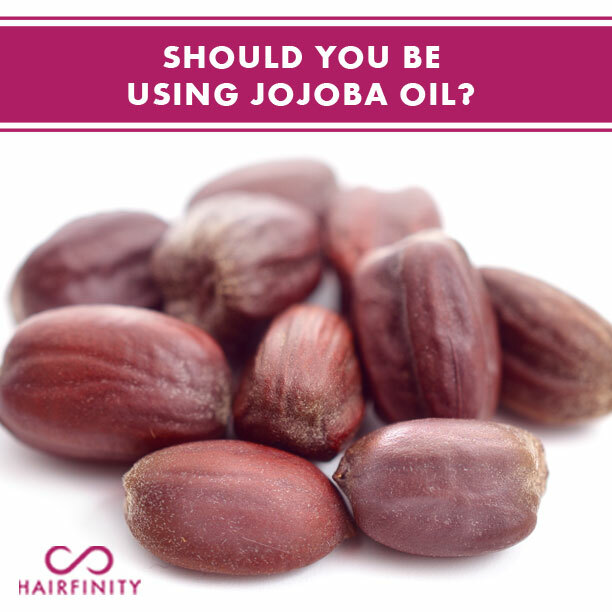 Jojoba oil can be used in a variety of ways when it comes to treating and styling your hair. You don’t have to make a huge commitment of time or finances to improve the health of you hair. Try working these quick tips into your hair care routine to reap the benefits of this amazing natural product. Hot oil treatments are great and can be done as frequently or infrequently as your hair needs it. Try creating a hot oil treatment using on pure jojoba oil on dry hair prior to shampooing. Heat jojoba oil (enough to thoroughly coat your hair) in a small container or ziplock bag. *Avoid heating it in the microwave to prevent the oil from overheating and potentially burning you (test the oil on your hand to make sure it is not too hot). Apply oil to dry hair from root to tip. Massage oil into scalp. Allow the oil to sit for 20 minutes with a warm towel wrapped around your head or sit under a hair dryer. Wash as usual. If you have oily hair, consider putting jojoba oil on the ends of your hair only. Use it as a means of fighting split ends and preventing over moisturizing. The thick texture of jojoba will coat the strands of hair. This will seal the moisture of the shaft making it less prone to drying which can be the beginning of breakage and split ends. You can buy detangling products or use that pricy conditioner you just bought to detangle your hair, but why? By using a few natural ingredients – some you may already have, you can create a quick and cost effect means of dealing with tangles. Add about 1 1/2 tablespoons of jojoba oil and a couple of drops of your favorite essential oil (lavender, grapefruit seed, peppermint or any oil you choose) to one cup of water. Shake well to thoroughly mix the three ingredients. 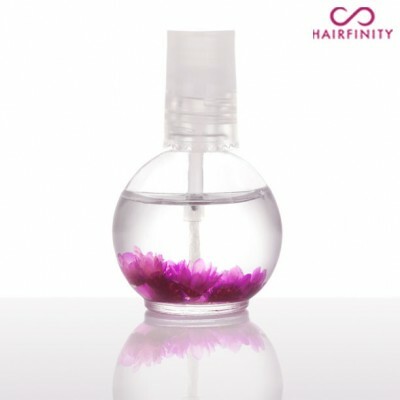 Spray the mixture throughout your hair paying special attention to deeper tangles. Begin the process of detangling hair with fingers or a wide tooth comb. There aren’t many things that take a hairstyle to the next level quite like a finishing shine serum. You can make an at home jojoba oil shine serum using a few easy to find ingredients that you probably already have in your pantry or have access to at your local grocery store. Combine ingredients in a glass jar or bowl. Mix thoroughly. Once ingredients have been mixed together completely, transfer to a bottle with a pump for easy dispensing and long term storage. Once you’ve mixed the ingredients your serum is ready to use. However, you should keep a few details in mind. You must shake the mixture well prior to each use – the oils will have a tendency to separate and if used unmixed your serum is not as effective. Apply only about a dime sized amount of serum to hair. You don’t want to ruin your style by piling on oils. Don’t skip on the vitamin E unless you have chosen to use another natural preservative. If you choose not to use a preservative, you will shorten the shelf life of your serum, make a smaller batch or use your serum quicker. You don’t want to ruin your serum by introducing bacteria or fungus to your hair and scalp. With “all natural” being the new trend in the health and beauty industry, it’s easy to become overwhelmed by which natural products to choose. Do your research. There are tons of articles, tips, tricks and DIY recipes available on the internet. No one knows your hair texture and type better than you do, let trial and error guide you. There are no quick fixes and hair care is not a one size fits all strategy. Whether you try out one or all of the suggestions we listed or make a treatment that’s best for you, just know that there are a number of natural beauty aids within reach that can take your hair from drab to fab. Hairfinity hair vitamins are transforming the hair of women all over the world with a unique blend of vitamins, nutrients, and our exclusive Capilsana™ Complex.